Have your questions answered by our many members located in Austria! Situated in the heart of Europe with a population of over 8 million people, Austria is today one of the wealthiest countries in Europe. Austria, along with neighbouring Switzerland, is the winter sports capital of Europe. However, it is just as popular for summer tourists who visit its historic cities and villages and hike in the magnificent scenery of the Alps. Austrians aren't easy to categorize. In fact, the main reason Austrians stand out from their European neighbours is that they don't stand out from the rest for anything in particular. Austrians are moderate in their outlook and behaviour. Being at Europe's crossroads, their culture is influenced from several sides. The average Austrian on the street is likely to be friendly yet somewhat reserved and formal, softly spoken and well mannered, law abiding, socially conservative, rooted, family oriented, traditionalist, a Catholic at heart, not particularly religious but a follower of tradition, well educated if not as cosmopolitan as his/her European cousins, cynical, and equipped with a dry, sarcastic sense of humour. Contrary to popular perceptions, Austria is not all about mountains. While the Alps do cover 3/4 of the country dominating the provinces of Vorarlberg, Tyrol, Salzburg, Styria, Upper Austria and Carinthia, the eastern provinces of Lower Austria, the Burgenland and the federal capital of Vienna are more similar to the geography of the neighbouring Czech Republic and Hungary. This diverse mix of landscapes is packed into a relatively small area of size. 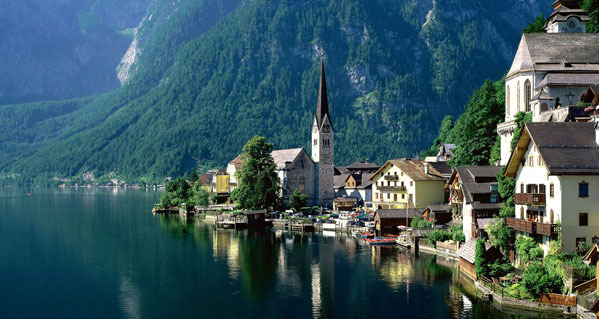 Glaciers, meadows, alpine valleys, wooded foothills, gently rolling farmland, vineyards, river gorges, plains and even semi-arid steppes can be found in Austria. One quarter of Austria's population lives in Greater Vienna, a European metropolis, located where the Danube meets the easternmost fringe of the Alps, not far from the border with Slovakia. Many visitors come to experience Austria's well known musical heritage. Salzburg and Vienna offer world renowned opera, classical music and jazz at moderate prices, but performances of high standards are also widely available throughout the rest of the country. There are dozens of summer festivals for all tastes, the most famous being the avant-garde Salzburg festival (Salzburger Festspiele) but because they're aimed at tourists prices can be high. We have thousands of local members waiting to answer your questions on living and working in Austria. Join Worky or Login to Join the Discussion.